I've been hard at work this spring filming a new course for Curious. It's been lots of work, but also great fun. I'm thrilled to announce that "The Joy of Vintage Sewing Machines" is now available on-line. When I first started collecting vintage sewing machines, it was difficult to find information about where to find one, how to evaluate it and what to do with it when I brought it home. In The Joy of Vintage Sewing Machines, I'll share my knowledge with you so you too can enjoy acquiring and rejuvenating these wonderful workhorses. Check out the promo below for a taste of the content in this comprehensive course or you can view the video on my Youtube channel. If you already own an older sewing machine, you'll find the information about cleaning and maintaining your machine very helpful. 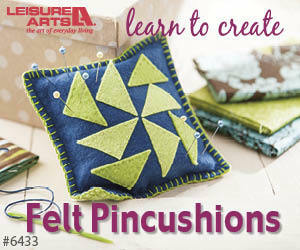 This course includes two patterns so you can start creating right away with your vintage machine. To enrol in The Joys of Vintage Sewing Machines - and enjoy a 20% savings - click here. With your Curious subscription, you can also enjoy all of the other courses and lessons that they offer, including my previous course, Essential Guide to Fusible Web Appliqué. I hope you'll enrol in The Joys of Vintage Sewing Machines to enjoy preserving and using these beautiful machines.